If business and tepid growth have affected your outlook, take a look at your human resources and consider a couple of questions. How is your company’s overall productivity? How do you feel about the individual performances of your employees? If you wince at either of these questions, it’s likely you have reasons to be concerned. – Overall work quality is deteriorating. – Projects or tasks aren’t being completed on time, nor not at all. – Teamwork and morale are subpar as it is with poor communication. – There are many excuses as employees fail to take responsibility or to make corrections. If it’s any consolation, this is typical. Companies in every sector have these issues – from healthcare providers to law firms. But you have to be realistic. As a manager, you’re part of the problem for allowing such issues to develop and fester. There are no easy fixes, but it’s absolutely possible to solve. Again, no one can fix these issues but you. Sure, you can bring in an outside participant to coach you and your staff but ultimately you’re the common denominator and problem-solver. So be a role model. Whatever you expect of your staff, set an example. It’s recommended that you learn the right leadership strategies to earn employee respect. Never ask anyone to do something you aren’t willing to do. Be transparent as possible, be rigorously honest, and keep your commitments. Walk the floor. Ask employees questions about their weekend. Listen. Employees appreciate engagement. They like knowing you care. So regularly engage your employees for business success. Particularly from productive employees, solicit their ideas for organizational improvement. Set clear objectives. Develop and implement objective metrics for you and your employees. To realize your business vision, use best practices for setting goals. Get each employee to commit to improvement to upholding your goals. Then, test and measure … test and measure … and test and measure. Explain tactics to employees – what they must do to implement and tactics and to meet goals. Make sure you are careful to avoid errors in evaluations. Naturally, you want to praise good performance and discourage bad. What are the best ways? Make certain you avoid errors in evaluations. Start monitoring – have a good antenna. Get busy when the symptoms that lead to poor performance start raising their ugly heads. Install quality controls, insist deadlines are met and your employees are responsible. Their behavior must align with their personal and the organization’s goals. True, there might be good reasons for issues. However, as in any situation or dysfunction, each party is partly to blame. One person might be just five percent at-fault. Whether it’s failing to fully anticipate obstacles or failing to communicate about faulty equipment, no one person is perfect. Assertiveness and proactivity are keys to success. Each person must learn to pursue excellence, execute and correct the five percent. Your job is not to be the best friend for each of your employees. Your job is to coach, be a mentor and to be the leader. This includes delegation. Effective employee delegation is a fundamental driver of organizational growth. Managers who are effective in delegation show leadership. Not everything you do will be appreciated even if it’s the right thing to do. That’s especially true if you’ve allowed dysfunction and suddenly make improvements. Much has been written about preferred skills for managers. We always talk in mundane terms for the need of managers to convey a vision, achieve goals and to foster growth and well-being for a work-life balance. Seldom do we talk about the C-Word, which is a critical characteristic of effective managers. Don’t worry, be happy – even when the going gets tough. If you act and feel positive, eventually every employee will come around or leave. If employees quit after you launch such a program for improvement, you’ll be better off recruiting positive employees who have emotional intelligence. Praise employees when appropriate. When an employee deserves praise, give it. Don’t forget to let their coworkers know about it. After all, non-financial incentives motivate most employees. Management — 5 Frequent Causes of Cost Overruns and Failures — Extensive research shows how and why corporate projects result in cost overruns and failures. The academic study is entitled, ‘Yes Men’ Are Killing Corporate Projects. The research reported rampant misreporting of project statuses at all levels of the companies. The errant information is prompted from cultural predispositions to career aspirations. Optimize Talent Management with 5 Coaching Culture Tips — When managers become coaches, you get a higher-performing workforce. You will have replaced mediocrity with strong performance. Here’s how to develop a coaching culture. 10 Management Attributes for Effective Communication — Communication skills are critical for managers. People with enhanced abilities in communication typically have successful relationships at work and home. Good communicators typically have 10 attributes. 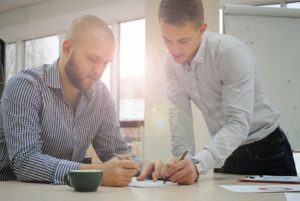 5 Quick Management Tips to Motivate Your Employees — A major quandary for managers is to bring out the best in their employees. Every manager wants to do it, but it’s not always easy. What’s the reason? Usually, it’s because employees are disengaged – disconnected from their managers and companies. Here’s how to fix it. Management: How to Help Employees to Grow Professionally — Managers owe it to the organization to help their employees grow professionally, and will benefit from higher employee performance and low turnover.